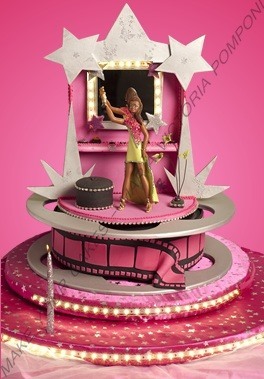 I would like to share a cake decorating video tutorial where I teach you how to make a Hollywood cake. This project includes full step-by-step instructions, showing you how to make a 3D pastillage scenography with lights and a 3D gum paste doll. You can view the written instructions here.